In recent years, some have noticed that, at times, Bridgewater Associates seems somewhat inconsistent in its application of its abiding principle, that of radical transparency. 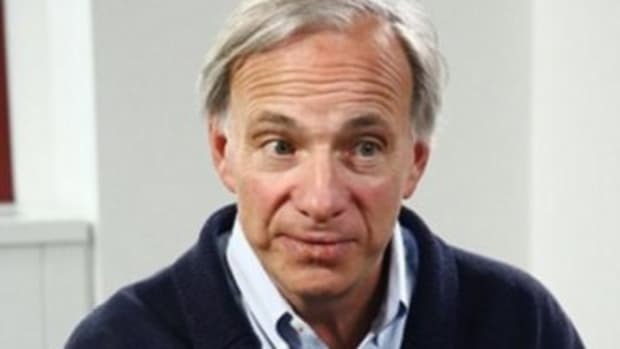 It has been suggested that this is especially true of China, where founder Ray Dalio is seen as a minor latter-day investing Confucius, and where he has enjoyed market access denied to just about every other Western investor, and (possibly as a result) about which he is uncharacteristically reticent. Well, Dalio’s book tour has arrived in Beijing, and he is doing a less-than-great job of disabusing people of that notion. 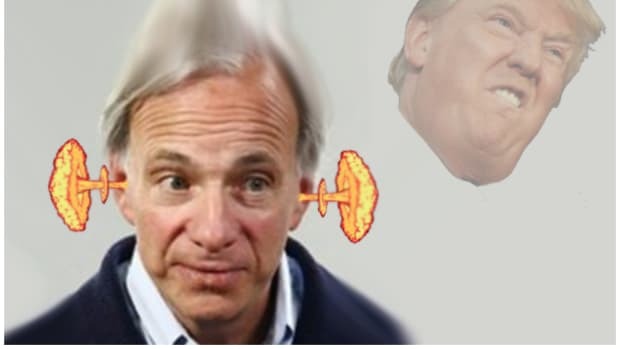 Mr. Dalio, sitting face-to-face with a Chinese reporter under bright camera spotlights, said his firm would keep proprietary data in the U.S. before retracting his words…. Mr. Dalio stood in front of a screen emblazoned with the title, “Views on China, the Market and Investing….” But he said little in his speech about China. At the panel discussion, he waded into China’s high debt levels, saying he’s optimistic about deleveraging. “I’ve watched debt crises much more severe than this,” he said…. Soon time was called. 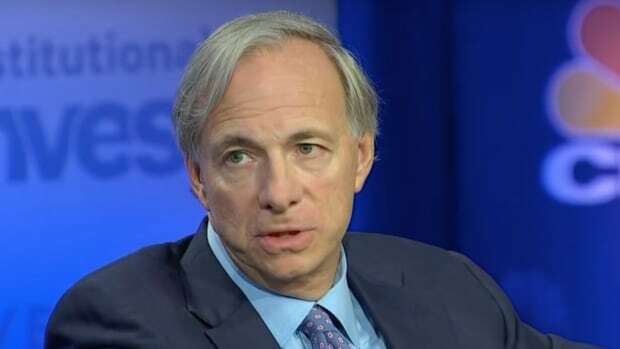 “No more questions,” said Mr. Dalio, who then departed with his entourage. 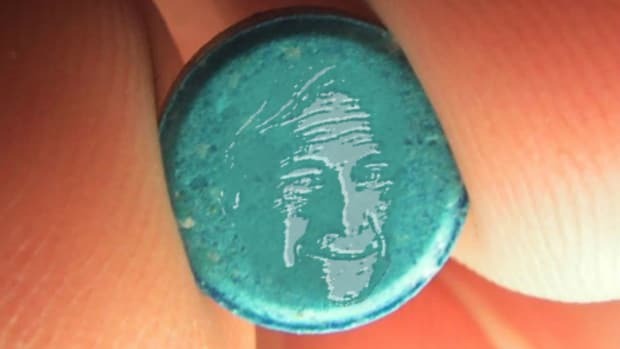 But not before he imparted this little bit of obscurantist opacity to the good people of China. He then declined the reporter’s question on whether he thought the pace of China’s transition to a consumption-driven economy was slower than expected. 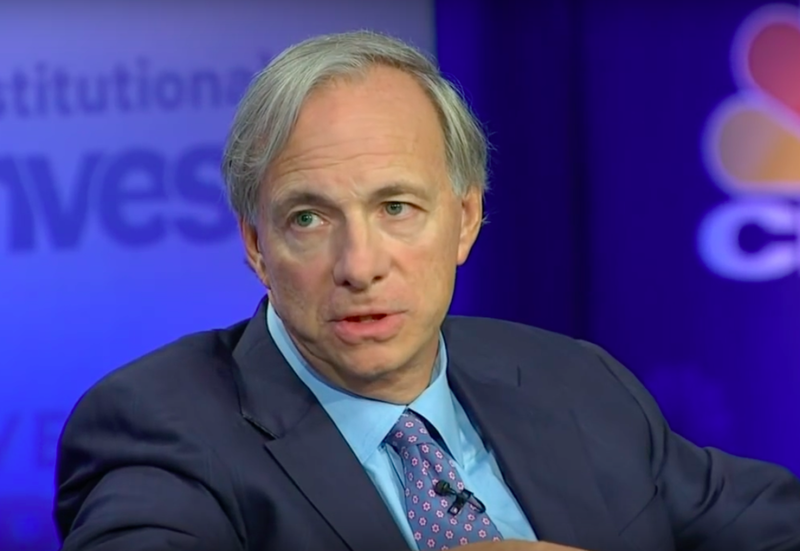 Mr. Dalio said, “These questions are not…” and then trailed off. Mark Kirby, an editor at Bridgewater, jumped in: “Talk about the ideas in the book,” he said. The famed investor switched gears. “Maybe I’ll give you an answer and you can come up with a question for it,” he said. 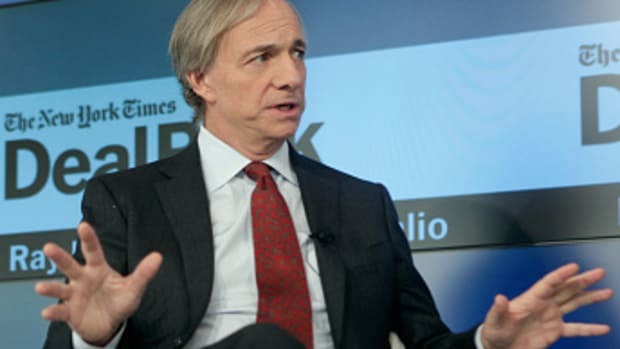 Ray Dalio is in a bit of an awkward spot here, and not one of the ones he likes.